We are seeing a lack of adoption of dAPPs. We believe the great friction and poor UX is one of the main reasons along with a lack of focus on real problems. Users don't care about decentralization. Users want 10x better, 10x cheaper or do something that they could not do before. 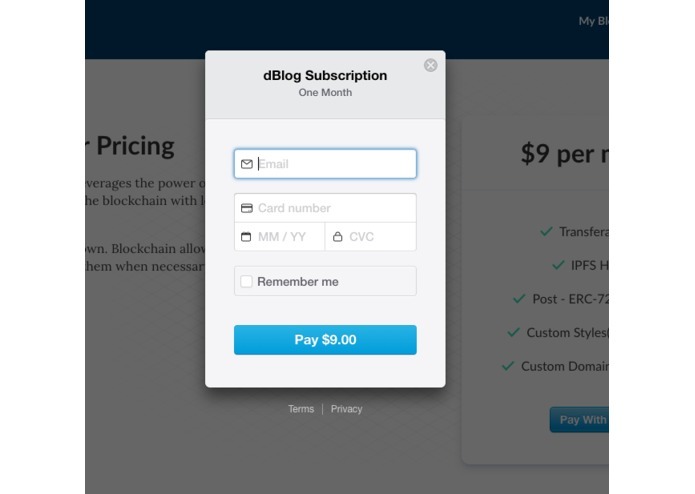 One of the most obvious places where a decentralized application makes sense is for a blogging platform. Freedom of speech is a universal right. However, many outlets (Wikileaks) are forced to go underground because there is no censorship-resistant alternative. At the same time, many users experience vendor-lock in. They write the posts in a platform (WordPress, medium) and eventually they find themselves trapped. 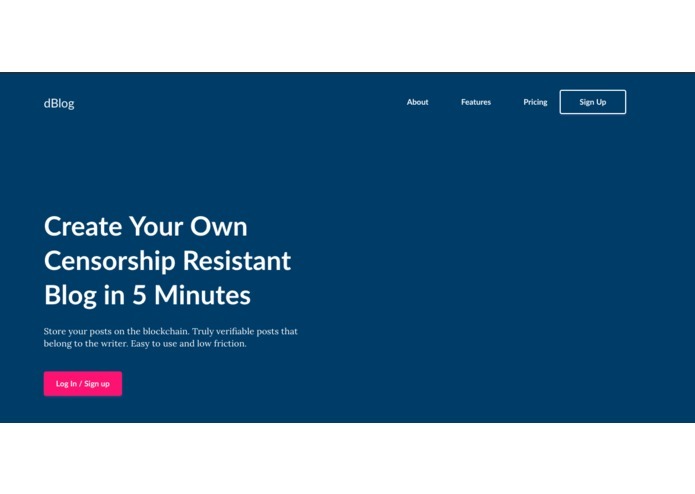 Fred Wilson has written about this problem many times: " We are one step closer to the decentralized blogging platform that I have long wanted. dBlog is a seamless blogging platform. 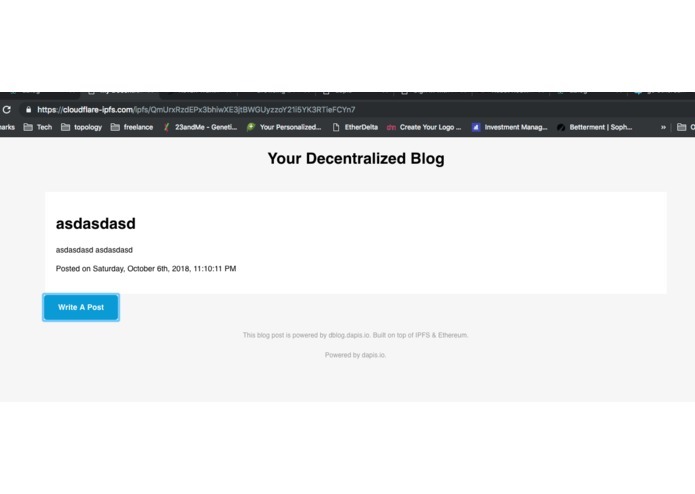 Users can create a censorship-resistant blog that lives on IPFS through our platform. They don't need to use Metamask or buy ETH to use it. They don't even need to know about blockchain. Every post is an NFT that lives on the Kovan network. 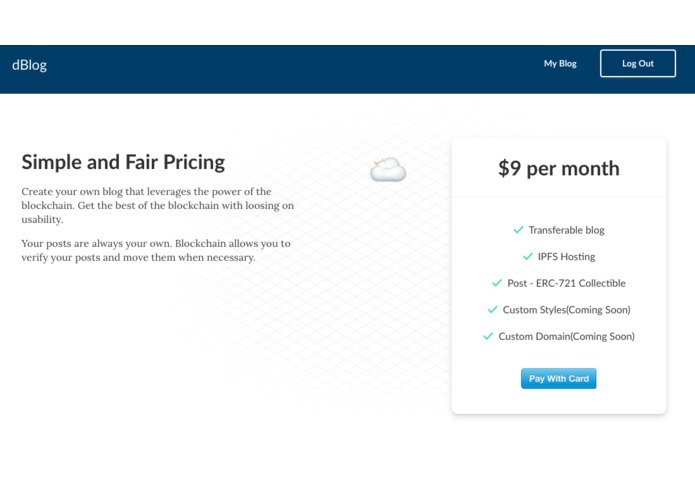 We mix the best from the startup scene (react, auth0, stripe, heroku, cloudflare) with blockchain tools (truffle, solidity, open-zeppelin, infura, ipfs) to provide a dapp that people actually want. 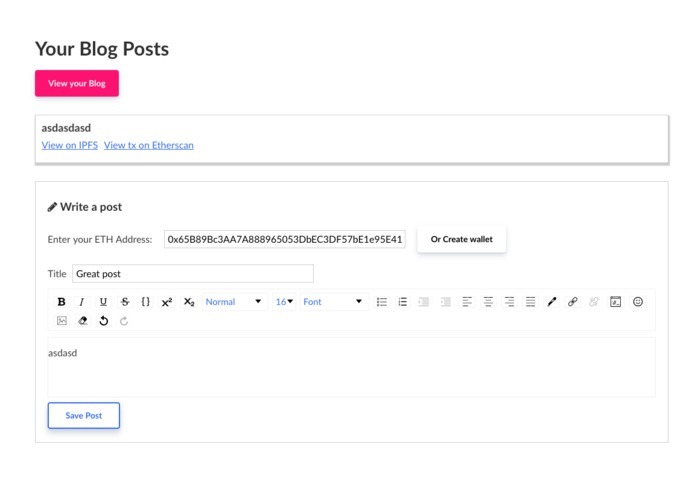 The blog creator is live on heroku, blogs are live on IPFS and every post is an ERC720 on Kovan network. Tools are getting better. We believe we are ready for a new wave of seamless consumer apps. Ideation. From my time at YC, I was focused on building a dApp people want. Previously at YC. I help startups with product, technology and cryptocurrencies.